Exploring America's obsession with dieting and the quest to be thin. “Let’s Move!” not only to Michelle Obama’s anti-obesity campaign, but to the latest Beyonce song, “Move Your Body”. 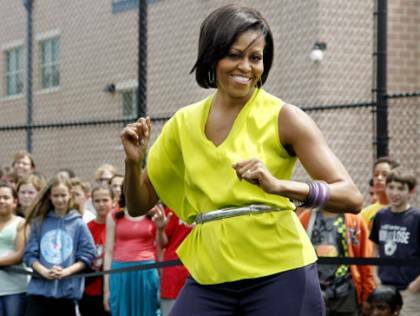 America’s First Lady and the first lady of R&B have joined forces in the fight of childhood obesity… while dancing the “dougie”. Michelle Obama will soon be celebrating her one-year anniversary of her “Let’s Move!” campaign. With the combination of promoting a healthy diet, exercise, and providing resources to help kids and adults create an active lifestyle, Obama’s focus on changing the obesity epidemic has been nothing short of inspirational. And she’s just begun. to the left, let’s move! Americans are at an all-time high with their weight and statistics show that one out of every three kids are obese, but all it takes is that one step. It takes one step to start your own movement, whether it be making better food choices or even performing Beyonce’s “Flash Workout”. It takes one step to make the healthy choice. It takes one step to start the effort. It takes one step to jump into action. Can you dougie with me? Throw your own lil’ swag on this swizzy beat! Beyonce Knowles is no stranger to the public eye. Her incredible voice has landed 16 Grammy’s, leading roles in feature films, and of course frenzied paparazzi trying to take the most unflattering pictures followed by ridicule of her size. But Beyonce rises above the negative and turns the tabloids into a celebration of showing off her curves; or better yet, her “bootylicious” self. Some say full-figured, others say fabulous. And whether you are “ready for this jelly” or not, Beyonce is a strong, healthy woman fighting the fight of obesity using her own lil’ swag. Everybody just move your body. Exercising is a key element to a healthy, active lifestyle. Beyonce’s new craze, “Move Your Body” is taking exercise to a whole new level; and most of all, she’s reaching a new and greater demographic…kids. Exercise is considered a hassle or an obligation more often than it is empowering But perhaps Michelle and Beyonce can help those in need of a positive outlook when it comes to the active lifestyle. In short, exercise can be fun….who knew?! We NEED to stop standing against the wall. We NEED to lift our feet off floor. We NEED to be ourselves and move our bodies and our mindsets. Let’s move. And let’s move our bodies towards the movement of anti-obesity. First, weight loss surgery was for morbidly obese adults. Next, the strict rules bended in order to accommodate those struggling with a moderate amount of weight to take off. 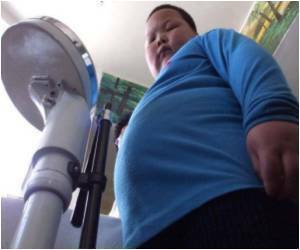 Now, we witness the first-ever, pre-pubescent teenager at age twelve having weight loss surgery. Most experts agree that childhood obesity is genetic and such children carry a high probability of becoming obese just like their parents and carrying on unhealthy lifestyles. But with this “kidobesity surgery”, wouldn’t their future unhealthy lifestyles still be inevitable? Let alone the years of physical and psychological damage the toddlers would do to their body and minds before they were completely developed. As an adult, having weight loss surgery seems scary and a very chancy procedure. If I had weight loss surgery done when I was too young to remember, I think I would have grown up without a choice to live by a different set of rules. A healthier set of rules. Rules that may not have helped aid me to become obese. Maybe I am wrong. Or maybe this “kidobesity surgery” will soon be on the market. I would love for some of you to honestly weigh in with your opinions on this “kidobesity surgery”. The U.S Army Wants Your Candy? Halloween came and went yesterday with more of a trick than a treat. As I waited for the children to come knocking on my door with fresh vegetables and candies, no one ever came. It was my first Halloween without ANY trick-or-treaters. At first I was thrilled that maybe this year would be different and kids were making better choices. 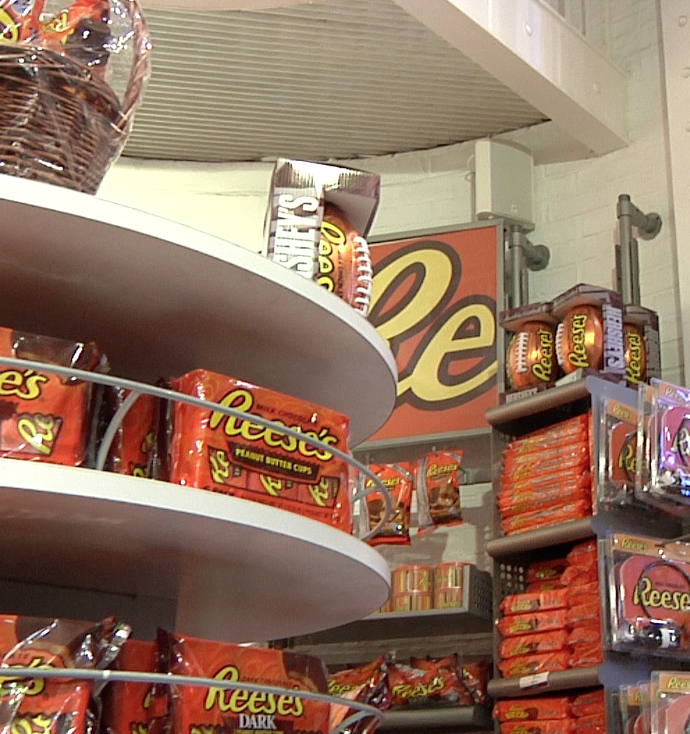 Then in the early morning hours today, I walked over to my local CVS to take a look at what candies they had on sale. I wanted to see what was left. Much to my surprise, all the candies had been sold out. Apparently the kids are still getting their treats. After my trip to CVS, I was stunned to hear that the National Group of Dentists was offering to buy back uneaten candies for a dollar a pound to be sent to our troops overseas. It just seems a bit hypocritical that these dentists want to protect our kids from candy, yet it’s OK to send them to our troops. I find myself confused, unhealthy for kids but healthy for our troops? HealthCorps is a organization started by the great Dr. Mehmet Oz and run by the fantastic Michelle Bouchard to push for education, better eating and fitness for children. You already know of Dr Oz, but you probably haven’t heard of Michelle. She has three years experience as the CFO of the Governors Island Preservation and Education Corporation, a public benefit Corp for the state of New York, and also started two not for profit theaters in New York. On a personal note, Michelle has been very supportive of my own weight loss journey. She was the first person to notice my weight loss. Truly, she’s a first class lady running a first class organization. HealthCorps approach is to work with kids via peer monitoring in schools. Educator, peer-mentor and activist coordinators work with individual schools to develop a tailored edition of HealthCorps. They are all involved in two year commitments to help these students and their community. Through the program, students are taught to shop for good food, to cook healthily, and to exercise. I feel the later is so important, particularly when physical education is being cut in so many schools. At first I was skeptical. It seemed like a big name attached to a puff project, but I’ve seen for myself the results they’ve been able to achieve. It amazes me how they’ve been able to influence these kids in such a short amount of time. I applaud their efforts to reach out to under-served communities and to start an organization that goes to the heart of weight-related issues in this generation of at-risk youth. However, Dr. Oz and Michelle Bouchard can’t do it alone. I implore everyone to take a closer look at this organization and do what you can to help them improve the lives of children. You can learn more here! Facebook – Become a Fan!